Send your favorite football fan a real treat. Filled with fanfare to last the entire game and even a game to play during halftime. 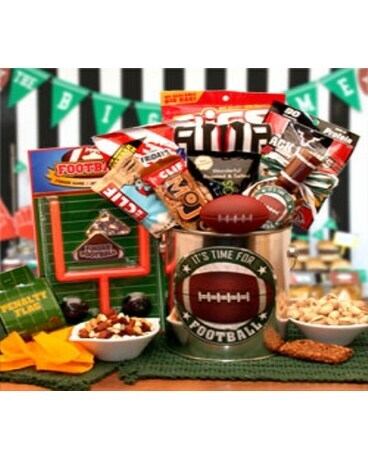 Every football fan will love the roated and salted pistachios, the delicious cheddar bacon chips, snack mix and more.